I am flying since many many years Microsoft Flight Simulator online with VATSIM. My FS career started with the MS Flight simulator 4 and the addon Scenery Vienna/Lower Austria/Burgenland, which was on one 1,44MB floppy disk. The possibility to fly online I found during the years 2000 / 2001. Since 2003 I am flying with FS2004 and the PMDG 737NG Series. In the next years I bought the Aerosoft Australia MCP and EFIS unit, then I built a pedestal unit and finally in 2004/2005 I finished my FMC unit. In September 2009, I had a new idea. Why not build an Overhead for my simulator?! So I started playing around with FSUIPC and Opencockpits USB Output card to visualize the status via LEDs. So I descided to built the MIP. 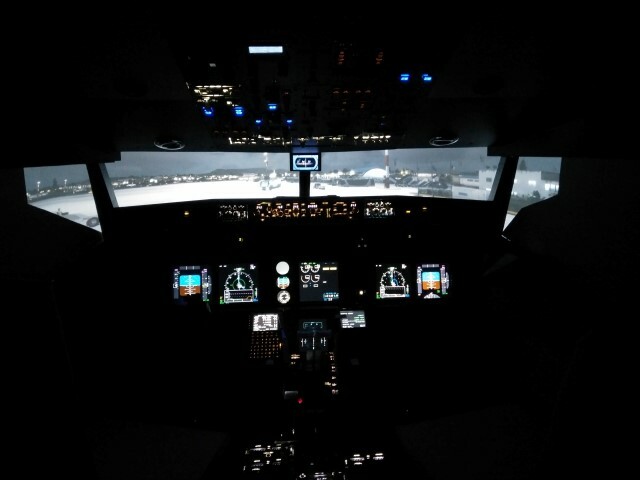 The interfacing software is ProSim737, so I use the Microsoft Flight Simulator only for displaying the scenery. The sytem logic, overhead, instruments etc. will also be done via ProSim737 software. Beginning 2013 the Homecockpit was dismounted and stored until late 2014, were we moved into our new house. There it was started to be rebuilt. On this site I will show you the progress of my project. You will find new entries in the NEWS section on the top menu or click here.